Barlogic specialises in Pimms! 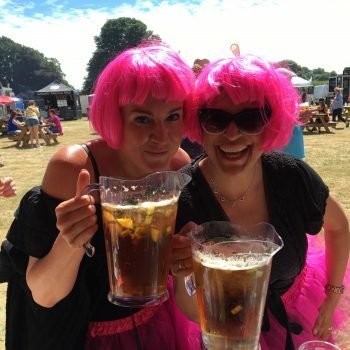 May it be a Pimms garden at a festival or event, a Pimms wedding reception, dry hire of tents or well-trained staff, we are the mobile bar company for your all your Pimms needs. 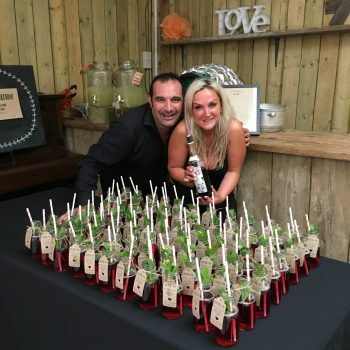 Barlogic is a versatile event company with years of experience in the Pimms world, We love the nation’s favourite summer drink and serve it with a sunny smile. Festival life on the event circuit is not for the fainthearted. Finding experienced, loyal, quality mobile bar companies to consistently perform year in year out can provide a headache for festival organisers. Barlogic excels in this field having been a constant presence on the food, drink and music festival circuit for the past 10 years. The key to our success is our loyal team with minimum turnover. Our crew are fast, courteous and serve quality products whilst keeping their cool in many challenging situations. 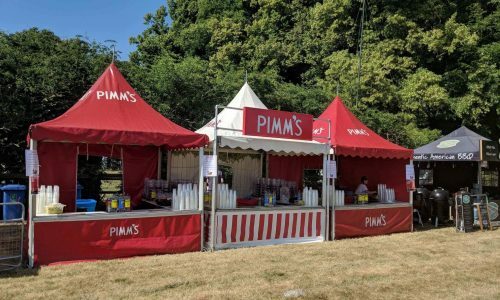 Our fantastic contacts in Diageo (the owners of Pimm’s) mean we can source various Pimms tents, Pimms buses and an array of amazing point of sale from deck chairs to banners and of course those famous Pimms jugs flowing with the famous British iconic summer drink. Check out our fab video to see us in festival action! Everybody loves a wedding! What better way to greet your guests on a lovely summer’s day with a cool glass of Pimm’s and lemonade, with all those lovely fruity flavours combining for the perfect aperitif. Our experienced mobile bar company know just how to serve the perfect jug for you. Maybe you would prefer a twist with your Pimm’s? We can provide you with different recipes to tantalise those taste buds! A Pimm’s royale perhaps? look out for our blog with a modern take on a British tradition. Getting married? Get in touch… We are waiting to serve you the perfect Pimm’s cocktail.